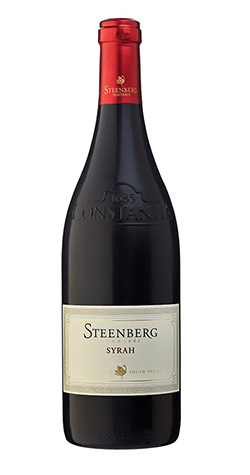 Our suave Syrah’s deep red colour hints at what one can expect on the nose and on the palate. Aromas of violets, nutmeg, boysenberry, and cherry sherbet on the nose transform into a medium-bodied, delicate black fruit and spice driven wine with soft, fine tannins, integrated acidity and a silky texture. The palate shows flavours of liquorice, black cherries, dried marjoram and rosemary with a gamey, smoky finish. The ideal partner to fillet au poivre, in fact all red meats grilled over open flames. Our Syrah grapes were picked in 4 batches and fermented separately. They were crushed and de-stemmed before a 5-day cold soak pre-ferment, followed by 15 days fermentation. The wine underwent 2 pump-overs per day. After fermentation, the wine was transferred to barrel for malolactic fermentation. The wine spent a total of 15 months in large (500L) French oak barrels: 45% new oak, 25% 2nd fill and 30% 3rd fill. The wine was racked out of the barrel and received a light fining before bottling in November 2017. Steenberg holds the distinction of being the oldest farm in the picturesque Constantia Valley, which is generally considered to be South Africa’s premier wine growing region. With its cool, sea-facing slopes and majestic granite ridges, this vineyard has developed a worldwide reputation for producing excellent Cape wines. The estate boasts a state of the art modern winery, producing some of the country’s finest award-winning wines.